Geomdan Prehistoric Museum recreated Korea's prehistoric life and exhibits artifacts excavated from each site in Geomdan. 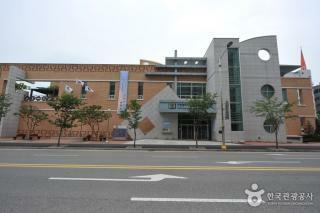 Visitors can understand the history of Geomdan, Incheon and the flow of its prehistoric culture. Visitors can see the relics of Neolithic Age and Bronze Age excavated from Geomdan area. We can trace the life of prehistoric people in that time through the historic remains of Incheon.